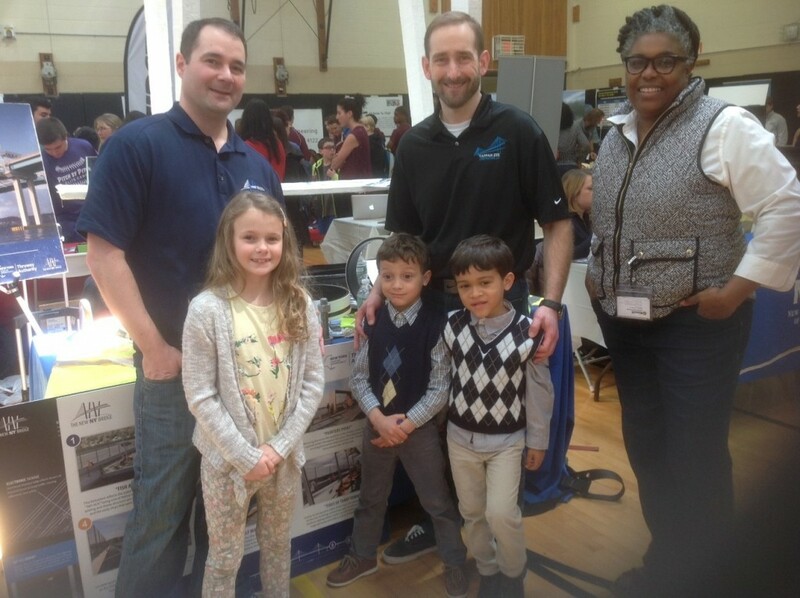 New NY Bridge project representatives met with students and parents at this year’s Lower Hudson Valley Engineering Expo. The New NY Bridge project was recently on full display at the 2017 Lower Hudson Valley Engineering Expo, where thousands of curious minds gathered to discover new career opportunities. Seeking to inspire the next generation of engineers, representatives from the New York State Thruway Authority and Tappan Zee Constructors (TZC) shared their insights with thousands of attendees at White Plains High School. TZC engineer Lenny Lustrino described the expo as an amazing experience. Lustrino participated in a panel discussion that focused on fundamental relationship between a solid education and a successful career in the field. He also described his experience growing up in Westchester County and his motivation to join his “home project” on the Hudson River. The New NY Bridge project’s outreach team was also on hand to share details and answer questions about the new 3.1-mile twin-span structure. The project’s educational outreach initiative has engaged more than 50,000 students since 2013, using the New NY Bridge project as a prime example of innovative design and engineering. Students of all ages learn the importance of science, technology, engineering, art and mathematics—collectively known as the STEAM—through the project team’s animated presentation. If you are interested in learning more about the project’s educational outreach effort, please contact the outreach team at NewNYBridge.com/contact.